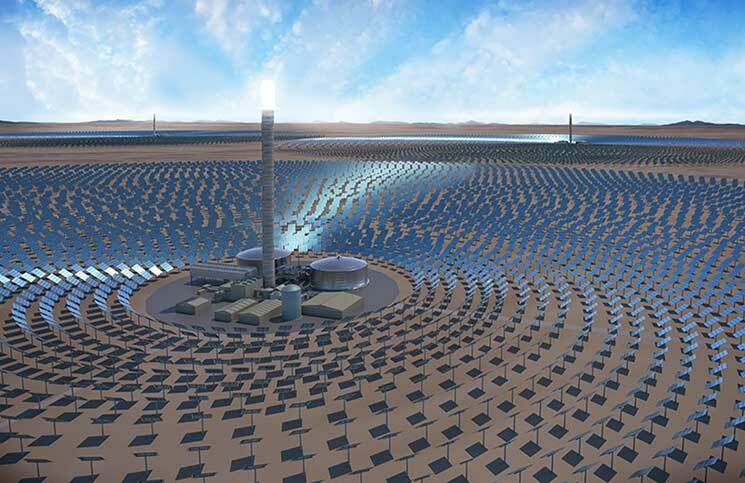 SolarReserve has received an environmental approval from the Chilean government to build a 390 MW CSP power station with 5,100 MWh of energy storage. This important milestone marks SolarReserve’s third approval of a solar thermal project that will provide Chile with a non-intermittent, 24-hour supply of energy, at a price competitive with fossil fuel based generation. 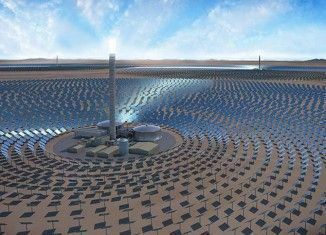 Utilizing SolarReserve’s proprietary CSP energy storage technology, the Likana Solar Energy Project in the Antofagasta region of Chile, will be comprised of three 130 MW solar thermal towers, each with 13 hours of full load energy storage. With 5.1 GWh of total energy storage capacity, the facility will deliver 390 MW of continuous output, resulting in over 2,800 GWh generated annually. It will operate at a capacity factor and availability percentage equal to that of a fossil fired power plant, while providing a highly competitive price of power – and with zero emissions. 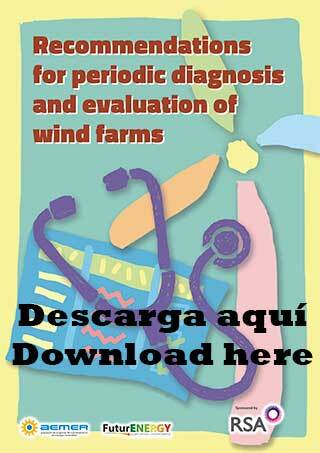 The Chilean transmission system will have difficulty accommodating large amounts of intermittent power. The distribution companies and mining sector require a firm, secure, and stable supply of electricity 24 hours a day. The Likana project will help lower electricity costs for Chilean families and businesses, while safeguarding grid stability. SolarReserve will be bidding energy and associated capacity, from Likana and the company’s other Chilean projects, into the upcoming auction for firm energy supply issued annually by Chile’s power distribution companies. • Provide firm capacity to reliably meet demand during peak hours, generating when energy is most valuable, reducing cost and risk for electricity customers. As part of SolarReserve’s project development and permitting process for the Likana Solar Project, the company collaborates with stakeholders and local communities to ensure minimal environmental impact. This process includes careful site selection, low water use systems, and extensive environmental studies prior to starting construction. The Likana Solar Project underwent comprehensive environmental assessment under the Chilean Impact Assessment System (Sistema de Evaluación de Impacto Ambiental – SEIA) administered by the Environmental Evaluation Service (SEA), and as a result was successfully awarded an environmental qualification resolution (Resolución de Calificación Ambiental) (RCA), which is the name for the Chilean environmental permit.